The kids aren’t already back to school, they will be soon! After a long, hard summer (filled with trying to keep the peace between siblings and driving them around to their many extra-curricular activities) you’re tired, and rightfully so. So, how about taking some time to relax and have fun? In fact, invite your other friends who are moms and throw yourselves a Mom’s Pool Day party! Allow your friends their choice of floats, and rotate throughout the day! We’ve got all you need for the perfect, kid-free, pool day you deserve- right here! 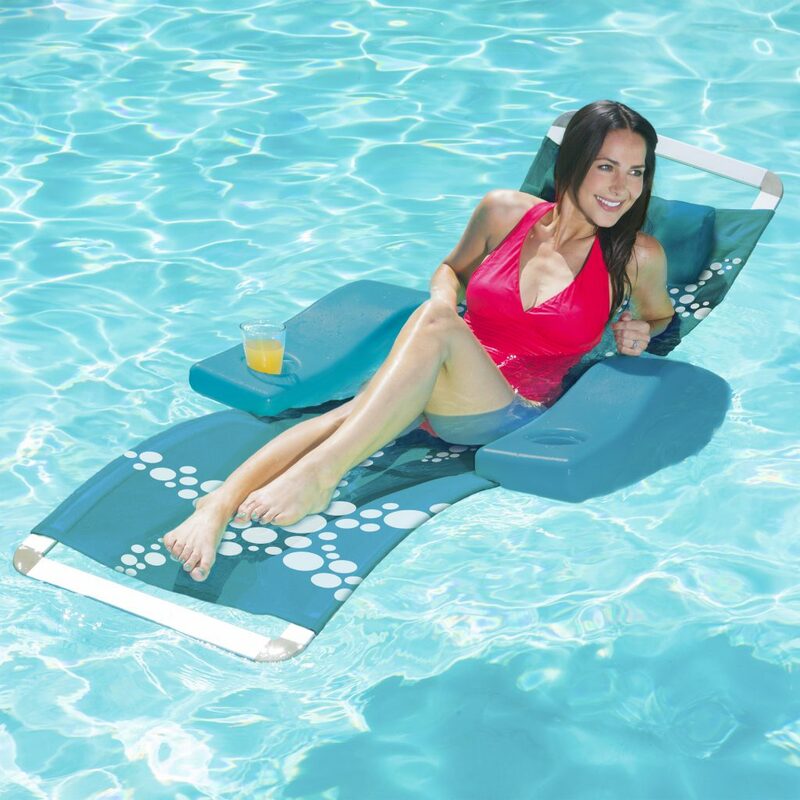 With its soft body support, you’ll be sure to comfortably float the afternoon away on the Aquaria Solana Lounge! Enjoy the sweet sound of peace and quiet during your afternoon free, and float along the water on this Aqua Cell Foam float that is designed not to get waterlogged and to resist chipping, peeling and fading. We also have the Avena Lounge, Santorini Lounge, Aqua Hammock, Saddle Seat, Swim Seat and Drifter)! After you’ve gotten a chance to relax, take a break from the pool and cook up something tasty for lunch! 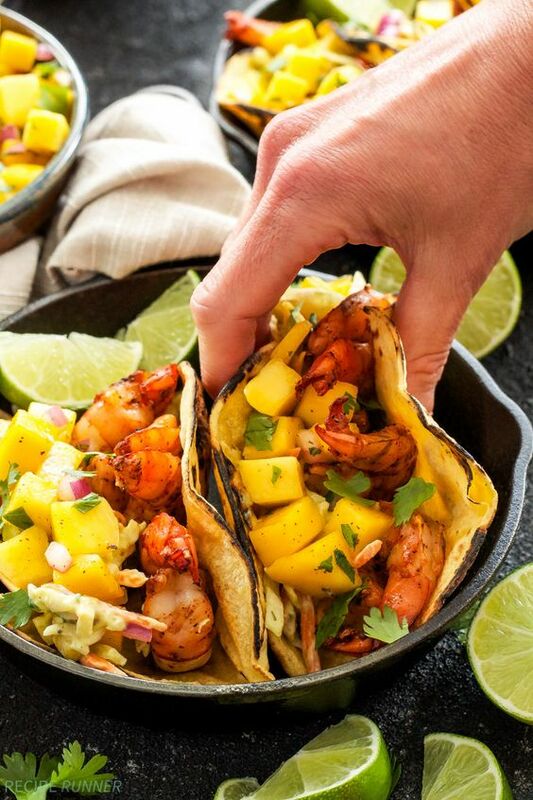 No mac & cheese and hot dogs on YOUR day- try one of these delicious, well-balanced Grilled Shrimp Tacos with Avocado Slaw and Mango Salsa! This is your chance to enjoy some finer foods without complaints! While you enjoy your lunch, lounge on the contoured Sonoma Chaise Lounge on the side of the pool! Once you’ve finished eating, and given your stomach some time to settle, take this piece of furniture to the pool- because it also floats! We’ve also got the Terra Sol Riviera Chaise Lounge! If you want to switch it up later, enjoy a refreshing beverage while continuing to float the day away on the Elluna Lounge! This float comes with an oversized, adjustable pillow and 2 drink holders! We’ve also got the Newporter Elite Pool Lounge! 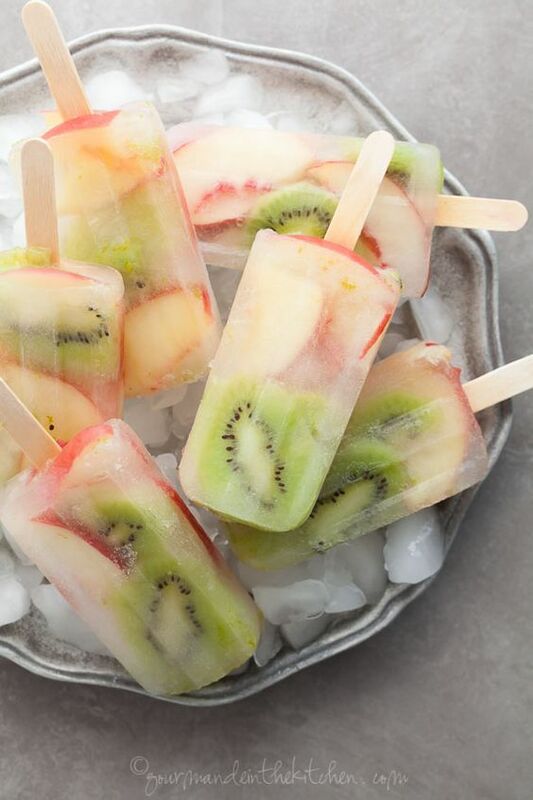 Finish the day with some delicious, healthy snacks like these White Peach, Kiwi, Coconut Water Popsicles! They’ll keep you refreshed and satisfy that sweet tooth! If you decide to have a Mom’s Pool Day party, we’d love to see some photos! Tag us @SwimWays on Facebook, Instagram or Twitter! Here’s a link to our Mom’s Pool Day party Pinterest board!